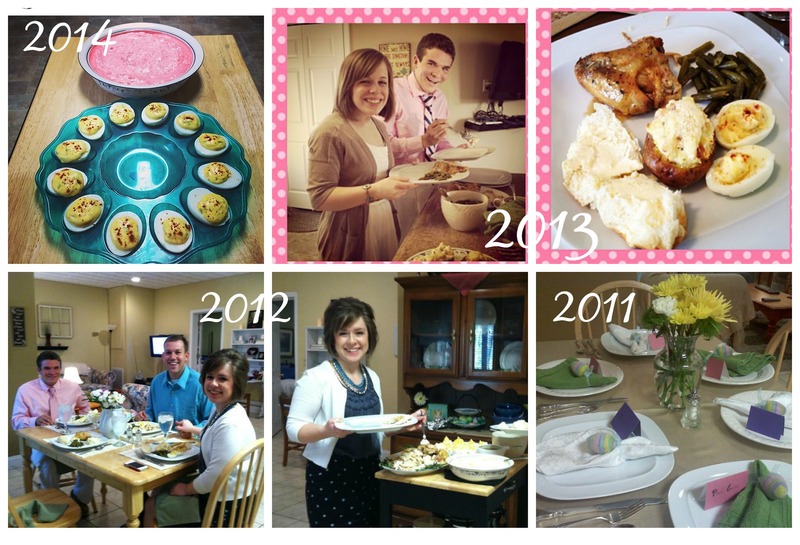 I’ve always enjoyed cooking (and eating) the Easter meal. As a Christian, Easter is a day of celebration and I think good food is just necessary! 🙂 When I was growing up, my mom always made a delicious coconut cake that looked like an Easter basket. We usually had company for Easter Sunday, and my mom’s china with light pink and blue flowers seemed to match the spring theme just perfectly. 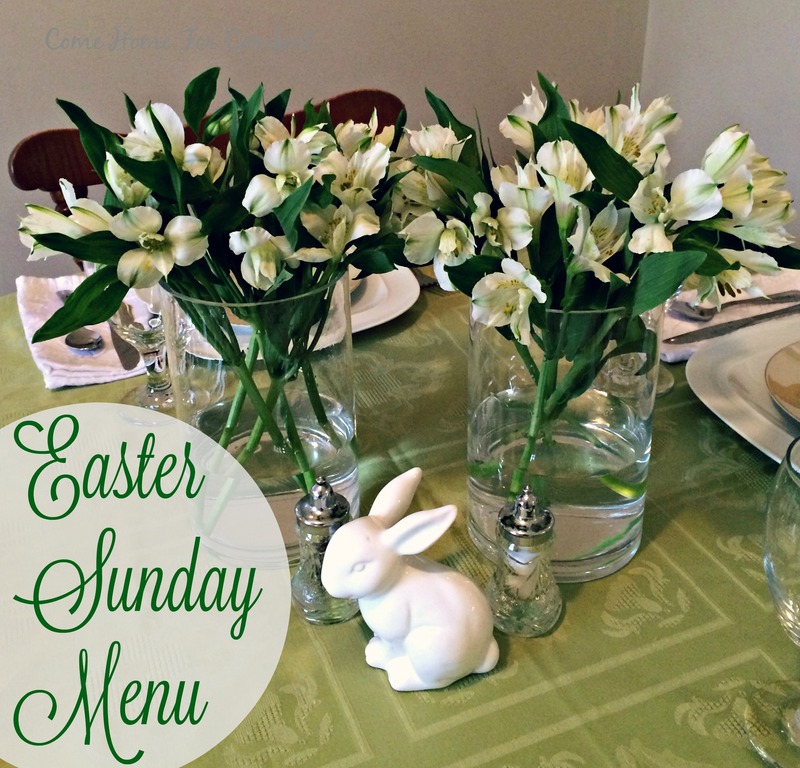 Over the years that Paul and I have been married I’ve almost always hosted the Easter Sunday meal. Are you hosting Easter Sunday lunch at your house? Are you taking something to a family meal? Tell me about your Easter Sunday plans! My MIL always hosts Easter lunch and the rest of us all bring sides. Staples at our Easter dinner also include mac n’ cheese and watergate salad that my SIL makes. Neither are low on calories but so good! I’m planning on doing a simple Easter dinner on Saturday night for just the 3 of us. I hope you enjoy hosting Easter again this year. It looks like you always make it special! Oh yum…I love watergate salad! My mom used to make that for Sunday lunches. Wow! Those pics are major throwbacks!! Love it!! Aren’t they? 🙂 I miss having Alli here for Sunday lunches! Your menu sounds delicious and I’m sure your guests will love it! I’m fixing Easter lunch for our little family. Nothing super fancy – ham, mac & cheese, deviled eggs, fresh fruit, spinach salad and store bought rolls of some sort. We will be sticking close to home on baby watch 🙂 Then we’ll eat left overs for a few meals after Easter. I’d love to make a strawberry pie so we’ll see how much cooking I’m up for this weekend. That sounds delicious!! Hmm…maybe I should make mac & cheese instead…. That sounds delicious! Your table setting at the top of the post is so pretty! You know what they say about Great minds; our posts are quite similar! I know your dinner wii be lovely and delicious!